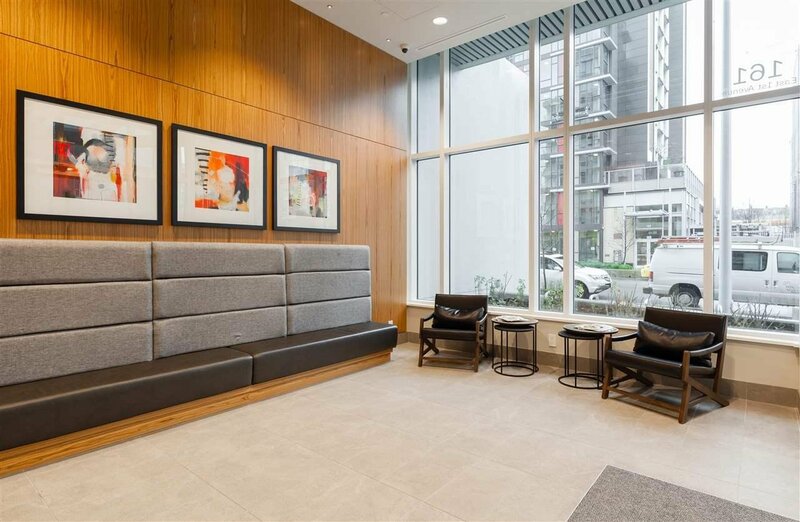 805 161 E 1st Avenue, Vancouver - 1 bed, 1 bath - For Sale | Jenny Wun - Oakwyn Realty Ltd. 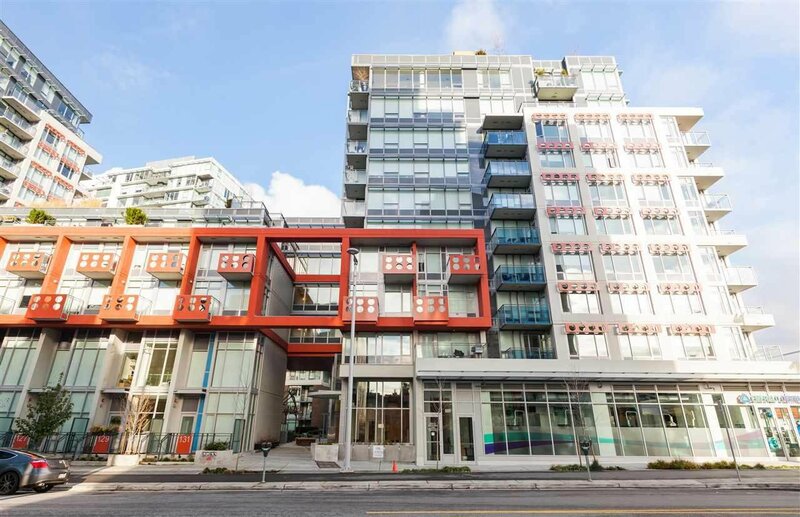 Welcome to Block 100 by Onni - Designed by Chris Dikeakos Architects. 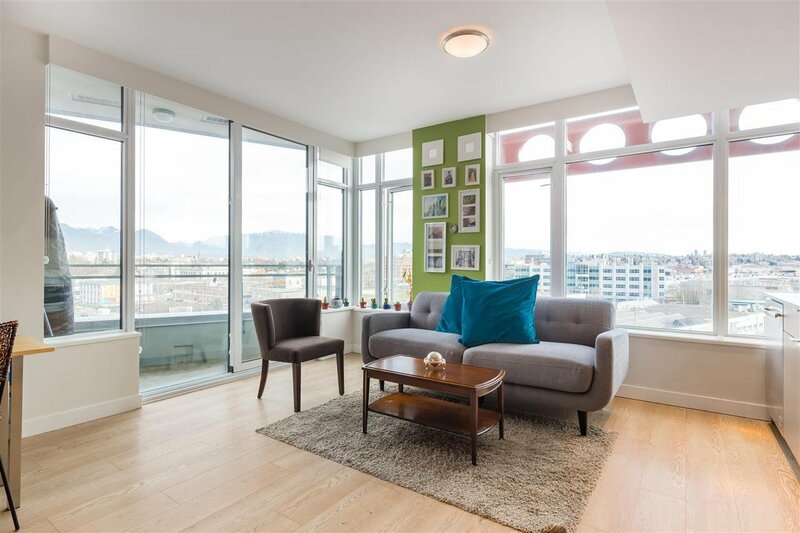 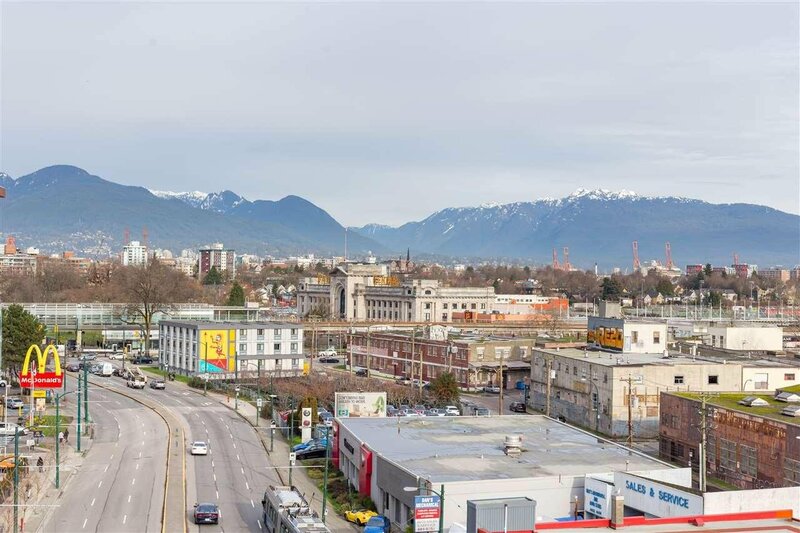 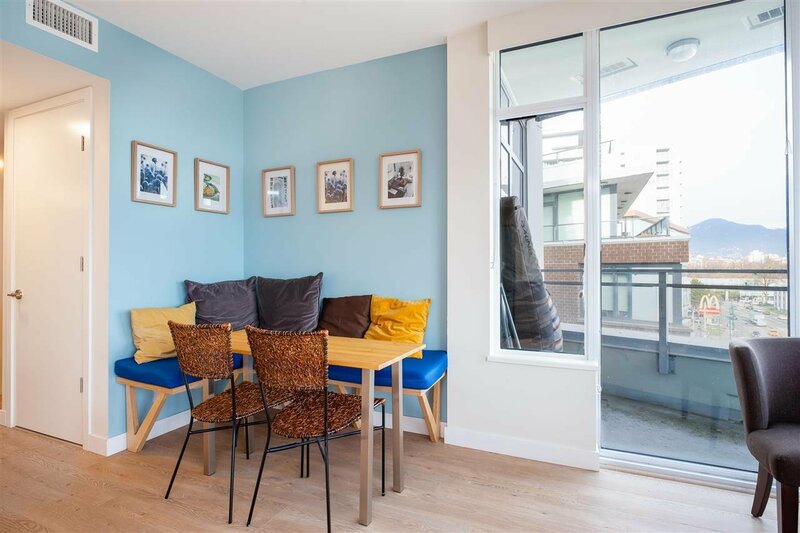 Enjoy mountain views from this NE facing jr 1 bedroom located on the edge of Olympic Village! 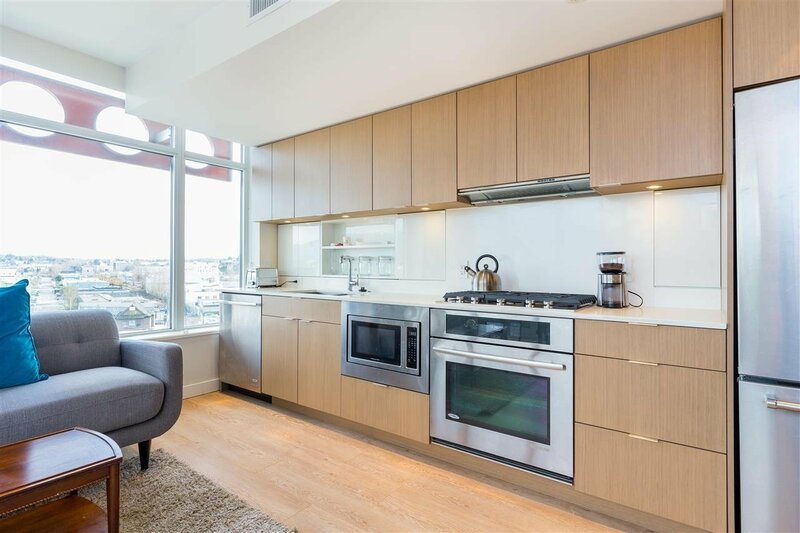 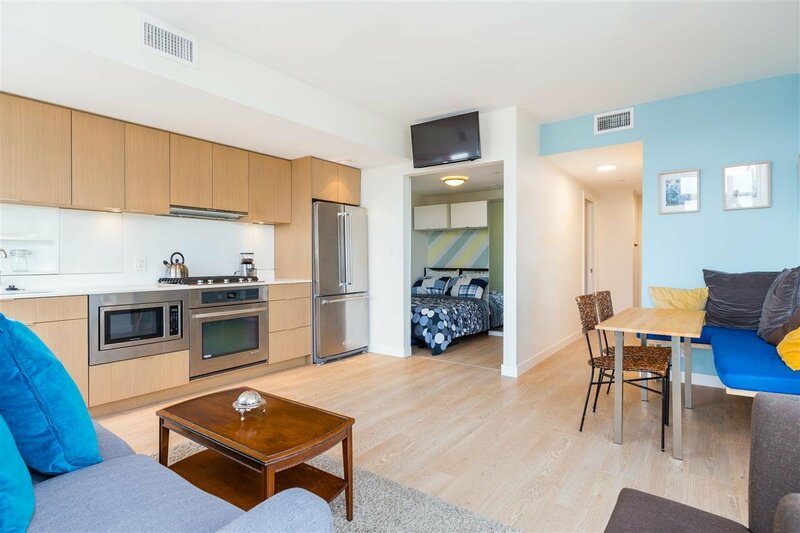 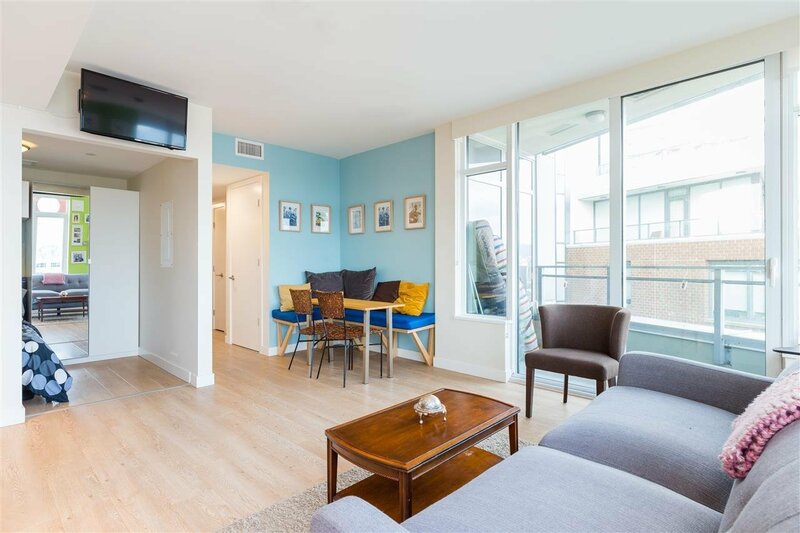 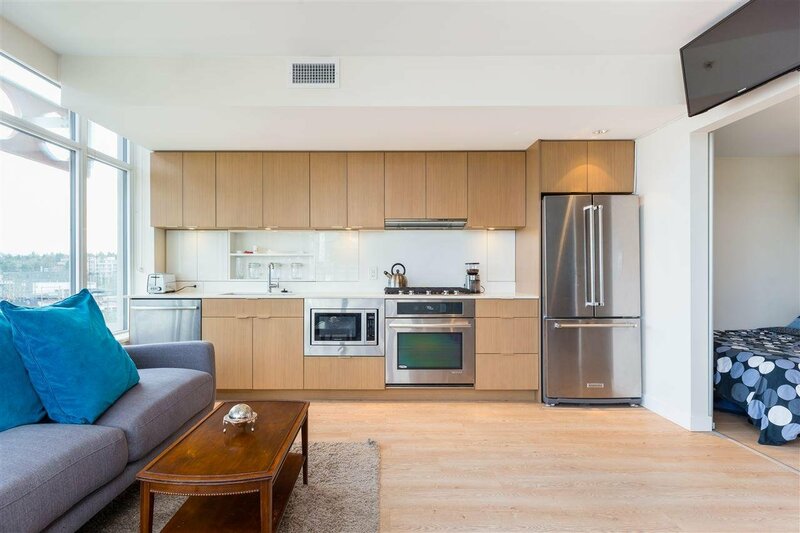 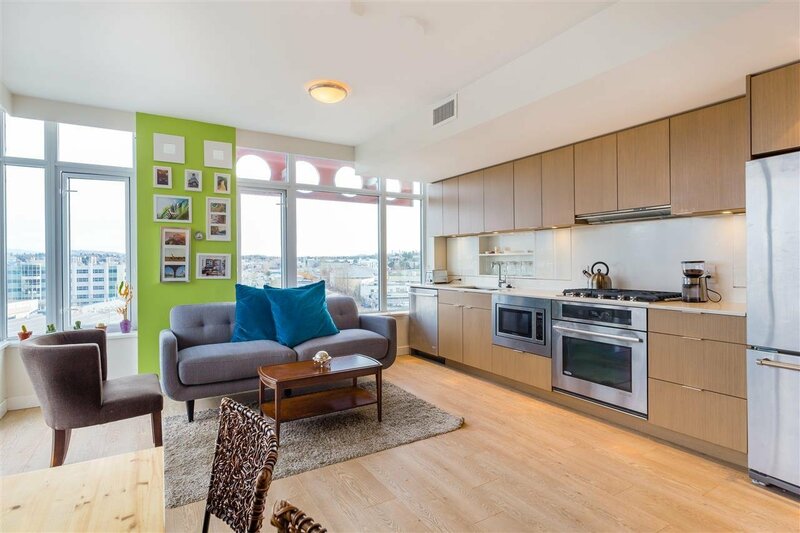 Corner unit, concrete building, Jenn-Air & KitchenAid s/s appliance package, natural gas range, beautiful wood cabinetry, & overheight ceilings. 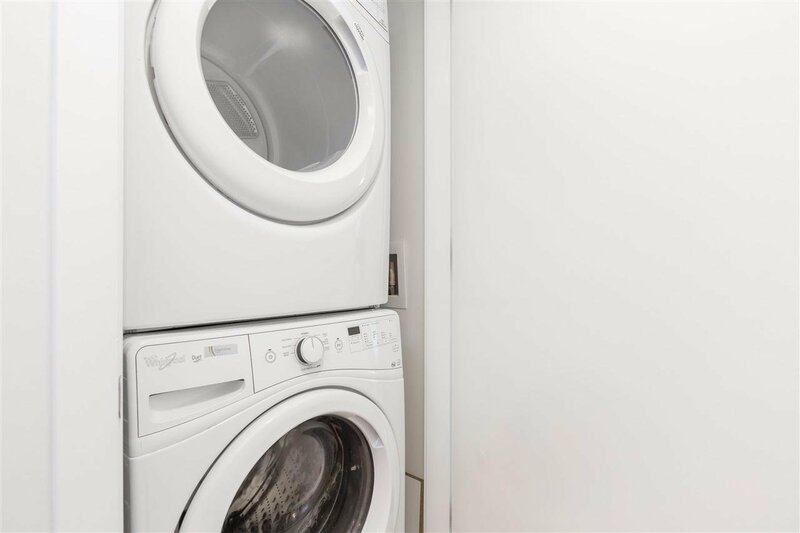 Heated bathroom floors, & A/C. 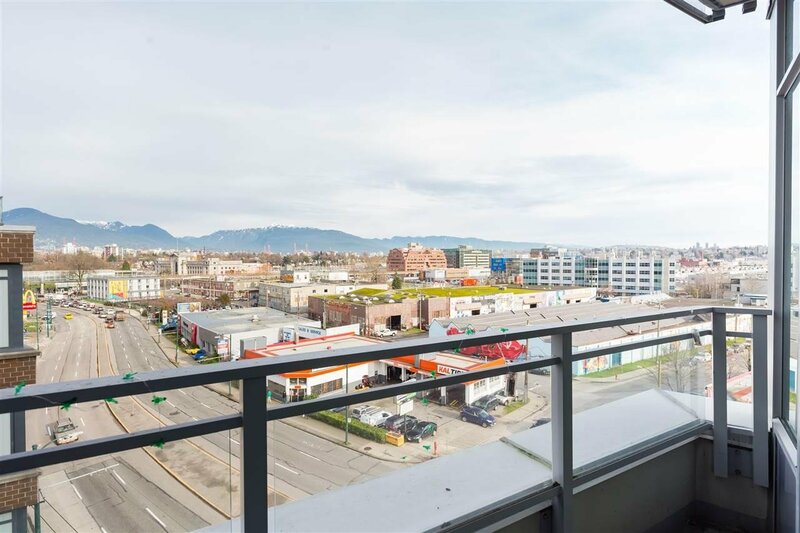 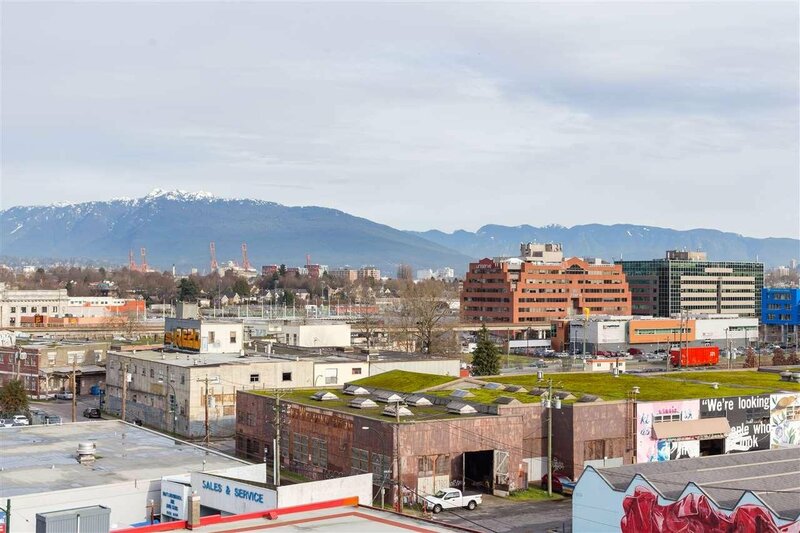 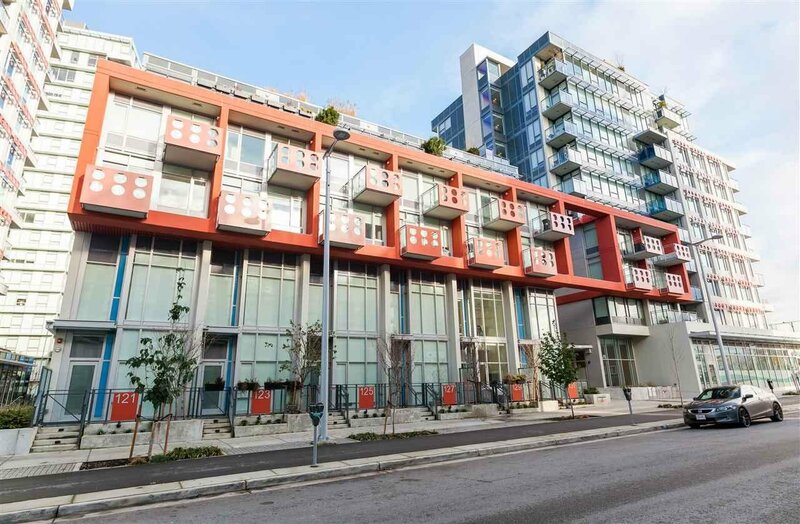 IDEAL LOCATION short walking distance to the Skytrain, the Seawall, and numerous shops & restaurants. 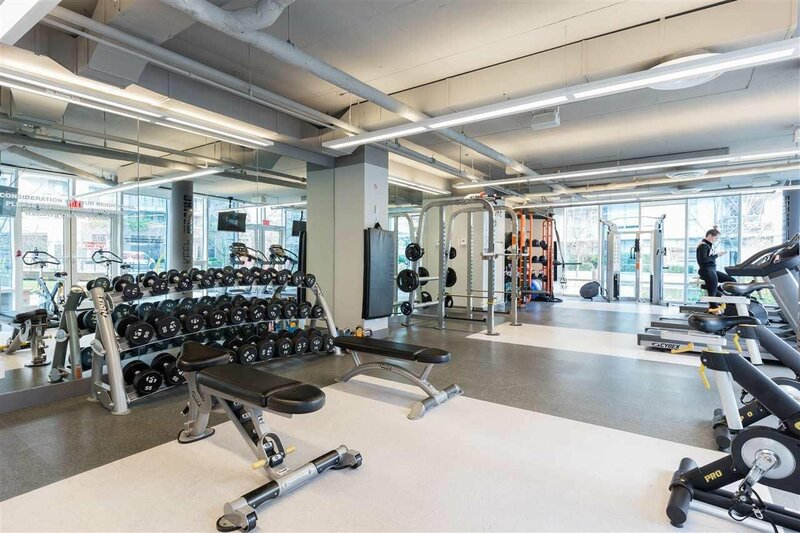 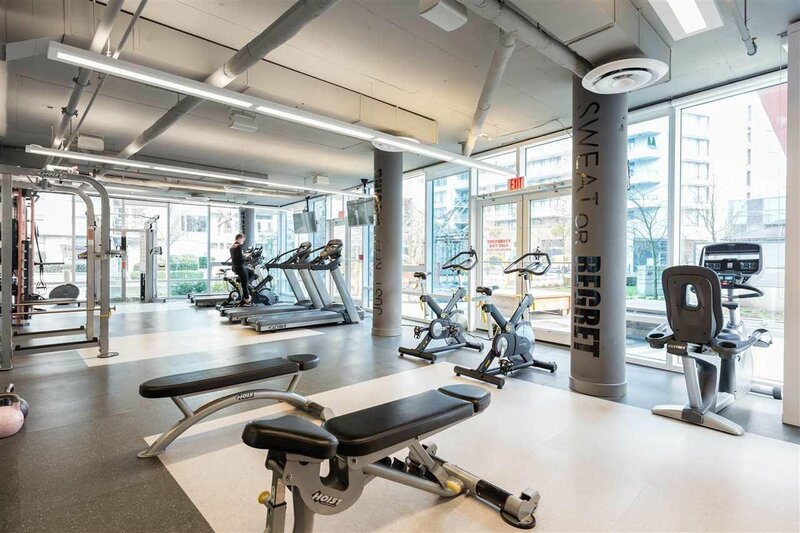 Enjoy outstanding building amenities including concierge, fully equipped exercise centre, meeting room, party room, bike room & a rooftop deck with beautiful city vistas. 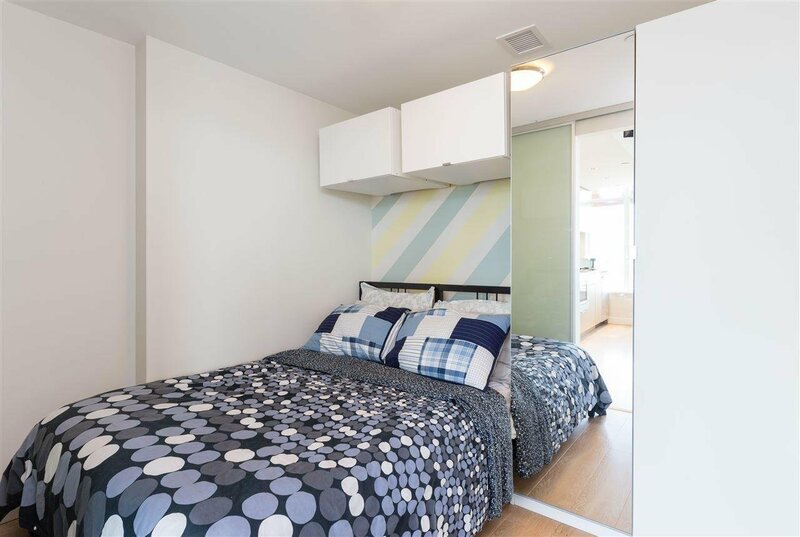 Comes with an extra large storage locker. 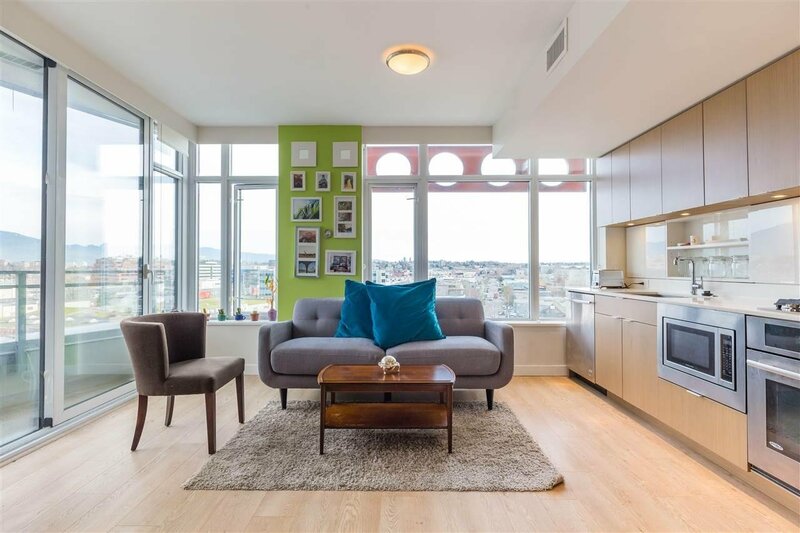 Perfect to live in, or for an investment!